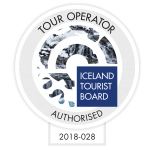 At Hawkbus Comfort Travel we offer day tours to the most interesting destinations in Iceland. You can rent the minibus for private groups or special tours adapted to the schedule of the cruise ships arriving in the harbor of Reykjavik. Our tours are operated always by Mercedes Sprinter minibus. Included USB charger for all passengers and a refrigerator, free Wi-Fi. We work with small groups, 19 passenger maximum.